MANILA, Philippines — Persistent double-digit drops in remittances from the Middle East have pulled down total inflows from Filipinos abroad for the third time this year, ahead of the traditional surge during the Christmas season. According to the Bangko Sentral ng Pilipinas on Monday, cash remittances coursed through banks slipped 0.9 percent year-on-year to $2.476 billion. While the amount was still the highest monthly inflow for the year, the drop represented the third time that remittances contracted in 2018 after March's -9.8-percent and June's -4.5 percent. 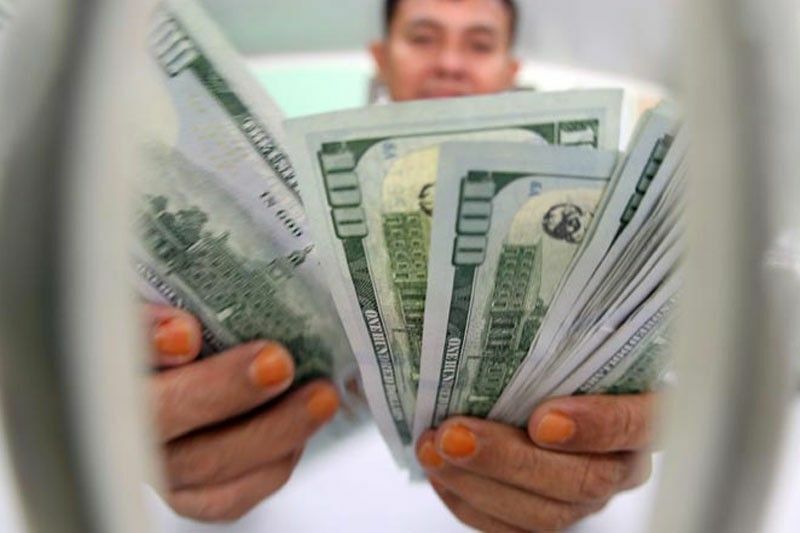 The BSP said remittances contracted because of a "decline" on inflows from Saudi Arabia, Qatar and United Arab Emirates, where the bulk of overseas Filipino workers are based. Over the past months, remittances from the Middle East have been plummeting, partly as a result of tighter foreign labor rules in the region, particularly in Saudi Arabia where 56 per cent of overseas Filipino workers were based as of 2016. BSP data showed that from January to August, remittances from the Gulf region plummeted 17 percent year-on-year to $4.41 billion. Broken down, money from Saudi Arabia decreased 11.8 percent from a year ago, while those from Qatar and UAE went down 10.4 percent and 19.4 percent, respectively. Elsewhere in the region, remittances from Oman dropped a faster 38.2 percent, Lebanon by 10.6 percent, Kuwait by 20 percent, and Israel by a whopping 61.7 percent. Weaker inflows from the Middle East tempered eight-month total remittances to $19.057 billion, inching up only 2.5 percent. The BSP has forecast remittances to grow 4 percent this year, and some analysts have banked on traditional surge of money from Filipino workers sent home to their families during Christmas season to reach the goal. This is not without any basis. Last year, remittances expanded 4.3 percent, beating the central bank's goal on the back of December's 7.1-percent uptick. Remittances allow Filipino families receiving them to boost consumption and investment activities, which in turn, drive economic growth. Aside from this, it also helps support the peso, which has been hovering at 13-year-lows against the dollar this year and contribute to fast inflation. The peso closed at P54.08 to a dollar on Monday, five centavos stronger than last Friday's P54.13 close.